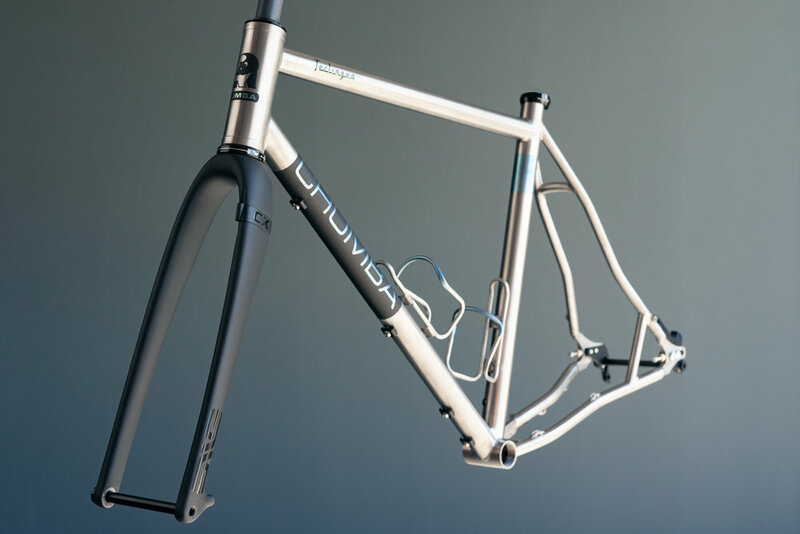 Chumba USA, with their headquarters in Austin, TX, has a mission to create your dream bike through careful planning, precise engineering and an elevated user experience. 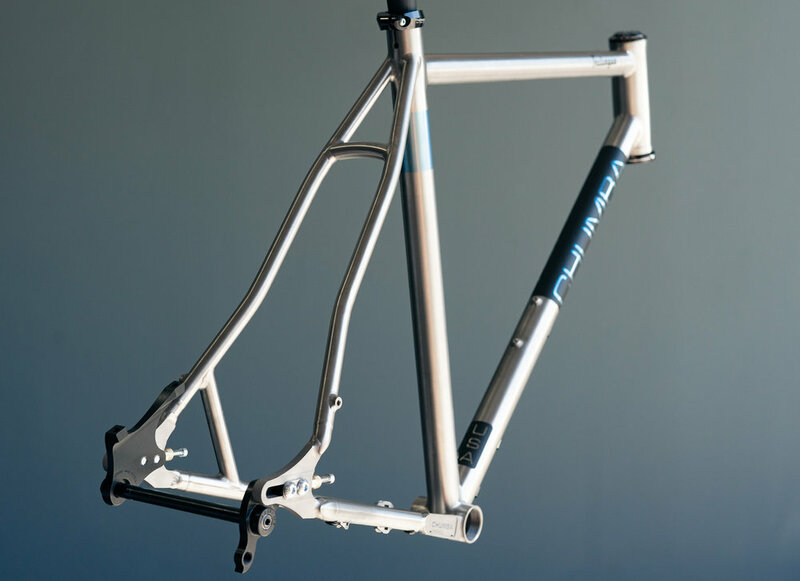 Building MTB, gravel, CX, and “ultraracers”, the company aims to help cyclists reach their goals with their super durable bikes, all made in the USA. This month Chumba launches their Terlingua Titanium Bike, a Di2 compatible 700c or 650b plus gravel ride that can handle it all. The Terlingua’s ability to be built in a range of configurations along with fantastic tire clearance makes for a bike that is truly ready for any gravel event or ride you can throw at it. Thought out features for the rider like a compliant yet race driven tubeset to 3 low mounted bottles for frame bag room and large capacity hydration to mean you can pull big days on the dirt. We’ve designed Terlingua in a way that maximizes the abilities of the sliding dropout. Move the dropout rearward to make the bike more stable for long straight roads or when loaded down. Keep it forward for rides with lots of cornering or a CX race. 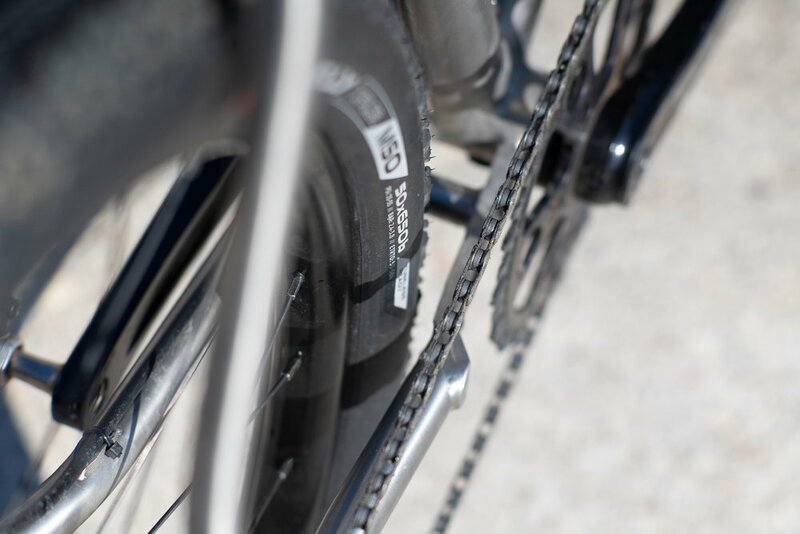 The sliding dropout along with our S-bend stays allow the use of a wide range of tire sizes. 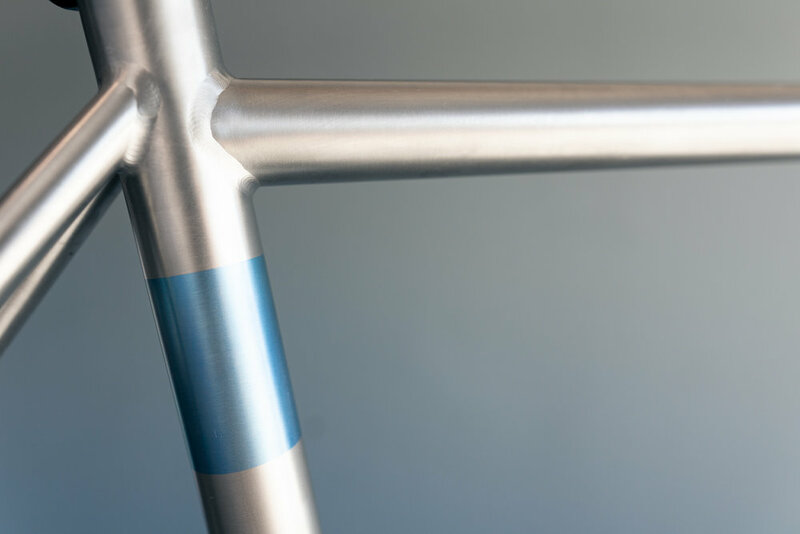 Headtube, seat tube angles and BB drop are all mapped out for a balance of high and low speed control while placing the rider in a powerful riding position. Sliding Dropouts with short CX length to long big tire gravel length and everything in between. Tire Clearance on the Terlingua is up to an impressive 700c x 50mm or 650B x 2.2”. As for crank clearance, she will fit Dura Ace, Sram Red and Easton EC90 cranks (which are all narrow Q factor, so it can clear most any crank), and 53T double or 46T Oval single chainrings. Frame only pricing is $2395, built out with the ENVE G-Series Fork will run you $2925. Chumba offers pre-configured completes, with choice of wheelsets ranging from $4495 and up. We also love that electronic Di2 and Etap builds are available.